This is part 7 in a series on various studio equipment, what it does, and how to choose! 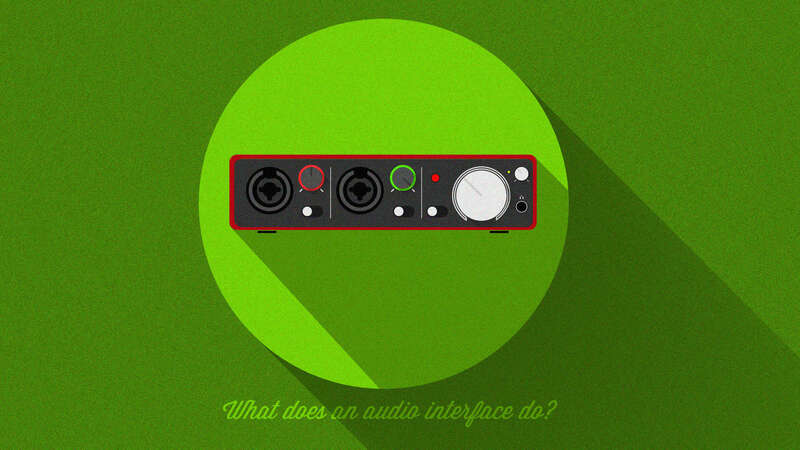 What does an audio interface do? That’s a loaded baked potato, but great question nonetheless! Before we dive right in, grab a snack, sit back and relax because..
You may have been like me and thought to yourself, “What the heck is an audio interface?” The term sounds really intimidating, at least for me it did. It was Spring of 2006, and I wanted to get into recording. I took an electronic music course and had a lot of fun with it, while also learning about all kinds of weird terminology. Wait just kidding I didn’t learn anything. Lol. I mostly just got by that semester, while still making some good music. The problem was that I didn’t utilize all of the tools that my professor asked. Thus, I got a C instead of an A or B. Whomp. Still, I had a lot of fun in the studio after hours, and got spooked out a couple of times. There’s something really eerie about recording music in a quiet room with no one around at dusk. The studio had those horizontal windows that were positioned towards the top of the wall. The ones where you can see that it’s getting dark but you really can’t actually see anything going on outside. Thinking back on my first experiences in college brings back some really bittersweet memories, and a lot of nostalgia. Times were different back then. I had responsibilities in a sense, but they were nothing like today. Life was a little more care free in a lot of ways, and it just felt different. I can’t quite explain it. It seems like when we were young, the air was fresher, the smells were smellier, and family gatherings meant more. I don’t know, maybe I’m just rambling. Did you ever smell something that took you back to your childhood? For me it’s freshly paved black cement. Every time I get a whiff of that stuff it reminds me of my Grandma and Grandpa’s old house in Smithtown, NY during the summer months. There’s something about that smell that takes me back to the 90’s and for a split second, it feels just as good as it did all those years ago. Another is Gulden’s mustard. My Grandma used to buy it in the jar and you had to use a knife to spread it on bread. 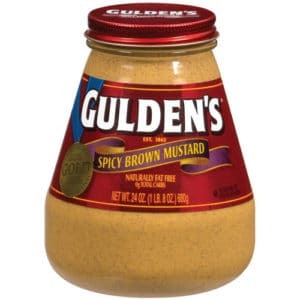 A few months back I was at the grocery store and saw some Gulden’s mustard in the squeeze tub (how lame) and knew I was out. I hadn’t had it in awhile. So I thought nothing of it and bought some. Later on that night I had some of it with my potatoes and immediately broke down crying. The taste of it literally took me all the way back in time when I used to have it at my Grandparent’s house. They have both since passed away, but I’ll always have those amazing memories! Anyways, back to college and music..
A number of years later, I contacted that same professor from school to ask him some advice on how to hook up a MIDI device to my computer. What is MIDI? He suggested an Audio Interface. What? “It’s a device meant to convert digital sound into analog, and vice versa.” Huh? “It’s an external soundcard.” What? Lol he didn’t actually respond to me like that, but Samuel L. Jackson might have. 😛 What is a Soundcard? “See there’s this invention called the computer, and on this invention they process processes.” Bleh. No really, you know the internal sound card inside your laptop or PC? The crappy one that enables music to play from your laptop speakers? Think of an Audio Interface like that, except you can see it, it’s in the form of a neat little box, and the quality is light-years better! In simple terms, it converts the signal from your microphone into data that your computer can process, and then spit back out at you through your studio monitors, or speakers, for you to hear. What are Studio Monitors? Bit depth vs. Sample rate. Converts data into language that your computer (and you) can understand and process. This is done through A/D (analog to digital) converters, which capture and quantize this information (your voice) in the form of 1’s and 0’s. It basically makes copies of the info and then sends back these copies to you so that you can hear them. What you receive back is an exact (in theory) replication of the original sound. Enable you to use a MIDI device such as a MIDI keyboard. Power a microphone with the 48v on board phantom power and mic preamps. Preamp vs. Interface. 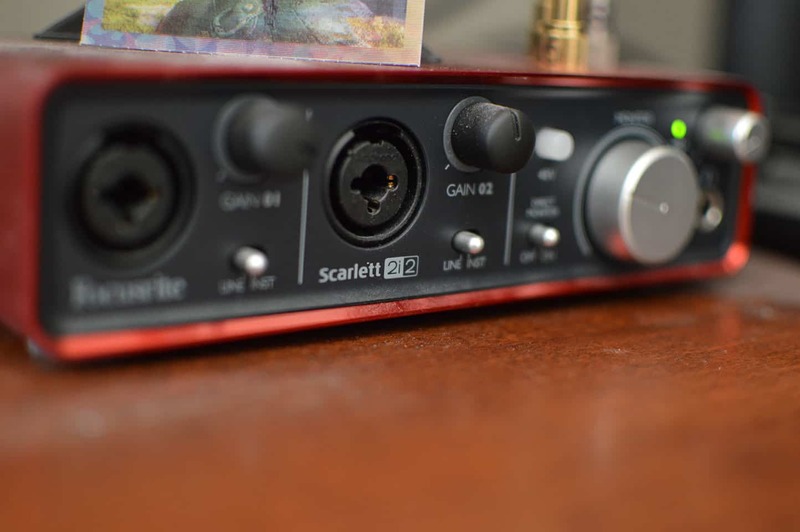 One interface that has remained rock solid for me since 2014 has been the Focusrite Scarlett 2i2. Yes, the hype is real. Is it overrated? Sure, but overrated simply means a lot of people have used it (and for good reason). It’s simply a reliable and worthwhile investment. Check out my post on the best budget audio interface for some great options! If not, please Contact me!! I would love to hear from you. Until next time..